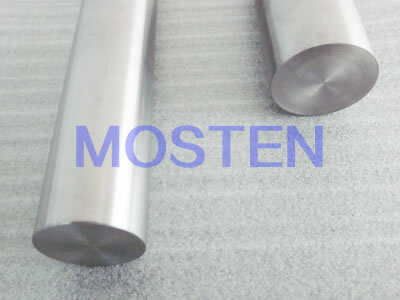 Molybdenum Rods & Bars Supplier | Mosten Alloy Co., Ltd.
We are professional supplier of molybdenum rod. There are two types of molybdenum rods: One is used for making rod materials, and the other is used for making semi-finished rods (for drawing wires). Swaging and groove rolling are two ways of processing. With our excellent processing methods, the moly rods we produce are strong in the electrodes strength and oxidation resistance, and they have long service life and can sustain corrosion. We can provide high-quality products according to the requests of the clients. The surface of the products is smooth and free from scratches, rolling marks, wrinkles, dimples, incisions, discoloration or blemishes of any kind. Our products are approved by ISO9001. Our molybdenum rods has silver-gray metallic luster and the density nearly is close to the theoretical density of 10.2g/cm3. Our molybdenum rods have great metallic performance and balanced inner structure. Molybdenum rods are widely used as heating elements, outgoing lines and radius rods in high-temperature furnaces. Also, they are used as the electrodes, bolts, domestic and optical glass in rare-earth smelting industry. The purity of our molybdenum rods is greater than 3N through vacuum annealing. 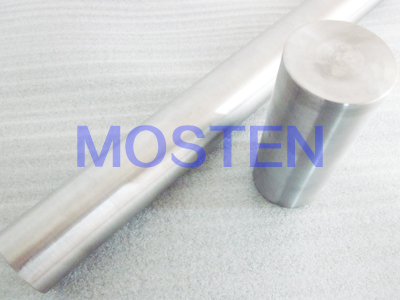 Molybdenum rods are widely used in electric vacuum parts, gaseous tubes, electrodes heating in glass industry and wall lamp brackets in lighting industry. There are two types of molybdenum support rods: surface grinding and surface turning machining. We can manufacture molybdenum heating elements according to clients’ drawings. 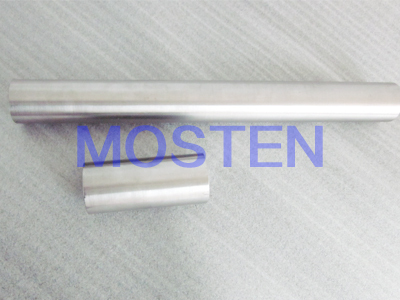 The purity of molybdenum support rods can reach 3N5, and density 9.8g/cm3. The highest working temperature where Molybdenum rods can be used in vacuum environment is 1700°C. Molybdenum support rods are important components in high-temperature vacuum furnaces. In high-temperature environment, rare earth lanthanum doped molybdenum and molybdenum rods are used. Our forged molybdenum rods have a high melting point of 2610°C. Forged molybdenum rods can be used in high temperature environment. They also have good electrical conductivity and anti-stretching ability. Forged molybdenum rods have low vapour pressure and low coefficient of thermal expansion. The length of our forged molybdenum rods can reach 20 meters. Forged molybdenum rods are now widely used as electric heating elements in lighting industry, electronic industry and semiconductor industry. Forged molybdenum rods can also be used as lamp support, power tube components and the base of silicon rectifier. Sintered molybdenum rods are high-resistance heating elements. It has high melting point, high purity and high density. At the temperature of 1700°C, it is used in high temperature oxidized environment. Sintered molybdenum rods are mainly used in molybdenum wires drawing and forging. If you would like to purchase molybdenum rod & bar from China, please don't hesitate to Contact Us.